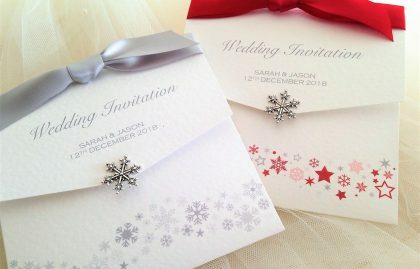 Our Wallet Wedding Invitation Style Invitations are 15cm x 15cm square. Our wedding invitation wallets are produced using a top quality hammered textured card (270gsm). 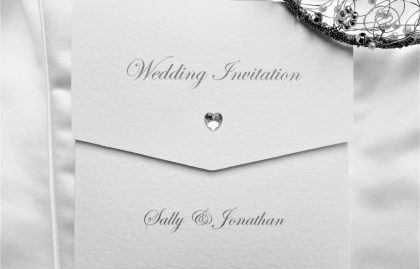 They are available in either white or ivory card and are supplied with free matching hammered textured envelopes and velcro closers.